am a huge fan of retro related design. 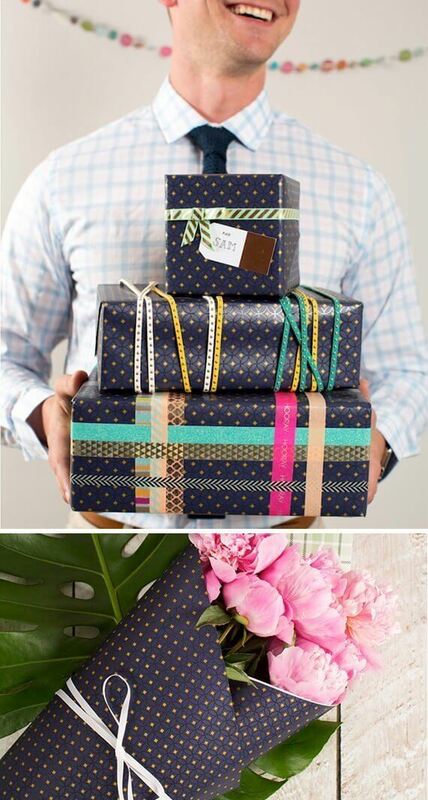 This also extends to gift wrap and paper goods. I tend to favor the 1940’s – 1960’s era. However, when it comes to flamboyant and decorative vintage – art deco comes to mind. It’s exquisite and it’s easy to see why to this day it is still popular. I quite like it. Some even say it’s the style of luxury and modernity spun into one encapsulating aesthetic. So, when I came across this art deco inspired gift wrap by Paragon Papers, my eyes bugged out like an old fashioned cartoon character in shock. I think I may have drooled a little too. 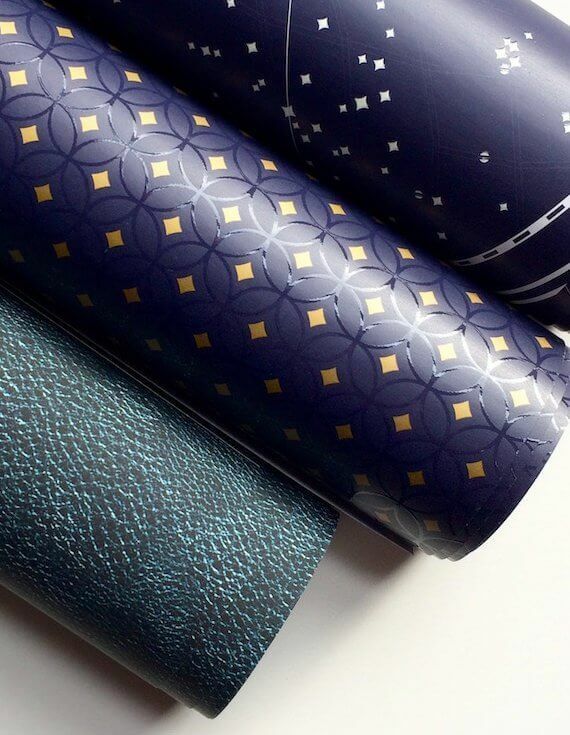 This line of gift wrap is aptly called: Gatsby – for it’s luxurious and textured art deco inspired design. 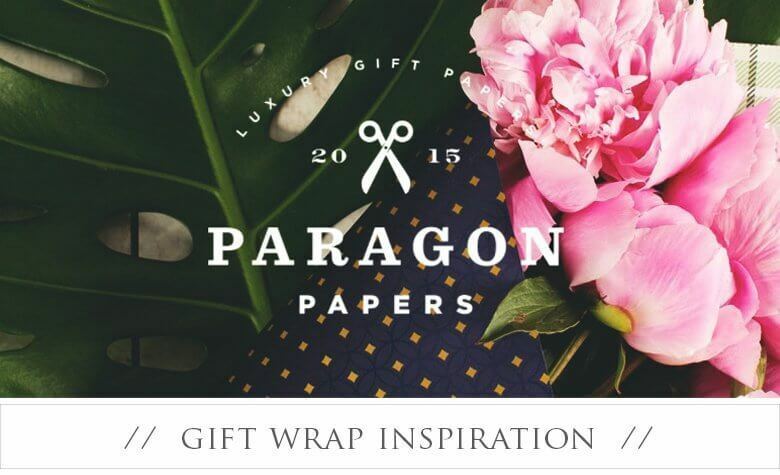 Speaking of palpable material, this dark blue gift wrap is textured with a glossy, raised geometric pattern. So, there is an extra added tactile experience one will appreciate whether they are using this to wrap a present or on the receiving end of it. Last but not least, I think this dark and rich paper is quite universal and makes for a great gift wrap option for men; espeically when paired with bright mustard silk ribbon. Or, if one would like to add an extra element of femininity using a bright and pink ribbon would serve as a lovely match. What is certain is that any present wrapped in this design paper will signify that the gift was wrapped with care, flair and panache. 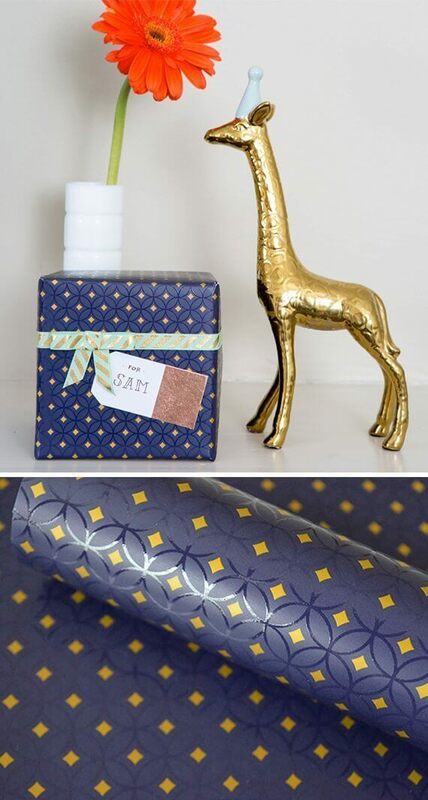 The stylized gilded era was the inspiration behind this line of gift wrap. This paper will add a touch of class to any pile of presents. 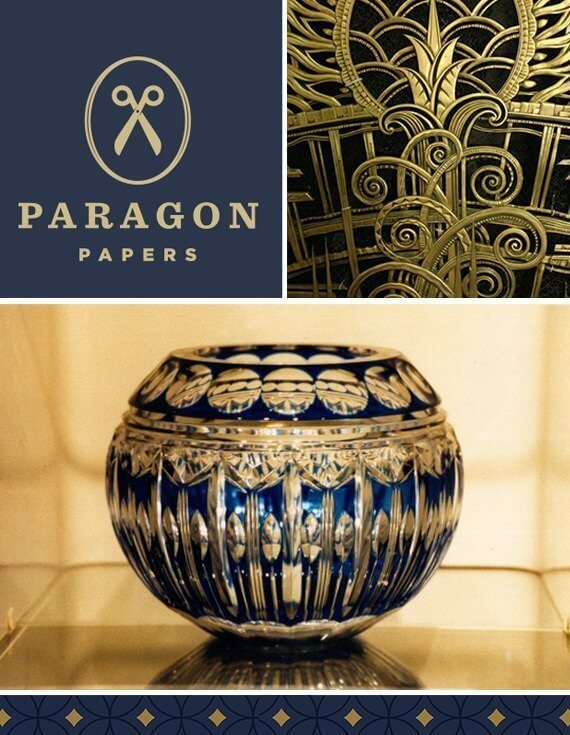 Deep blue coloring, metallic gold highlights and a glossy, geometric pattern. Marvelous! Visually pleasing and appreciated by both men and women.